Sørøya is the place for extreme fishing stories, of which most are actually true. 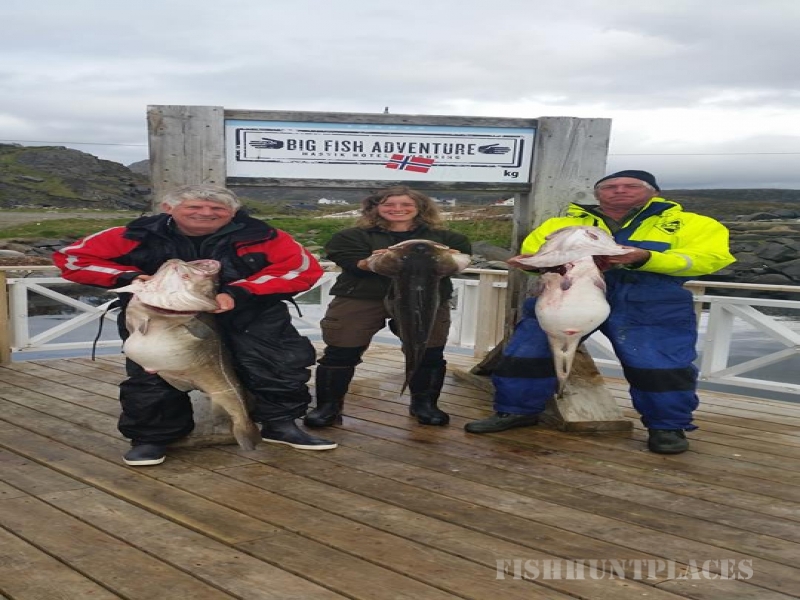 Big Fish Adventure - Hasvik Hotel and Housing is one of the oldest and most well-established providers of deep sea fishing in Northern Norway. There is hardly a better place in the world for deep sea fishing than Sørøya. The scenery is rough, stunning and raw, the water is pure, and we have abundance of fish. 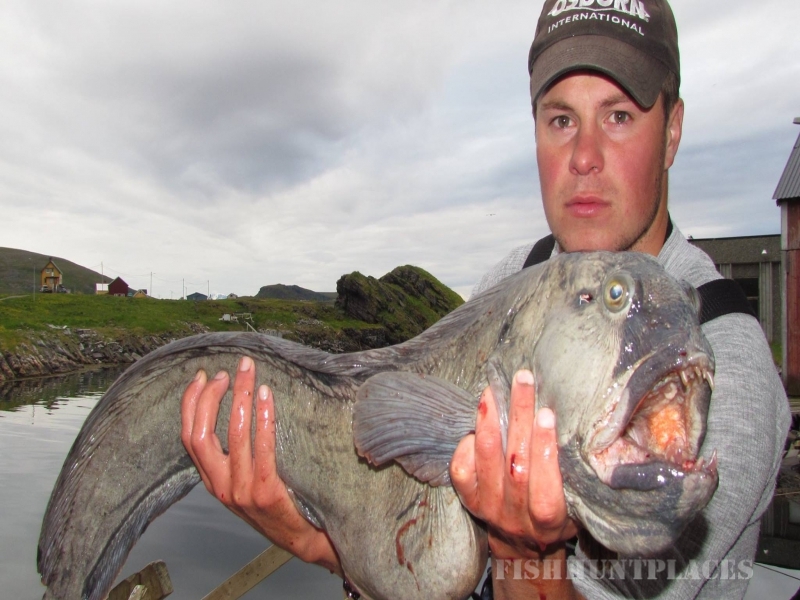 More fishing records have been set at Sørøya than anywhere else in the world. The Sørøya climate can be rough, harsh and strenuous at times, but also incredibly exciting. We are far North, next to the Arctic Sea, with the fishing grounds right outside the window. The proximity to the Gulf Stream gives us ice-free ports, and despite the harsh climate, deep sea fishing conditions are usually good. The arctic landscape offers midnight sun and around the clock light in exotic summer months and polar nights with magical northern lights during winter. 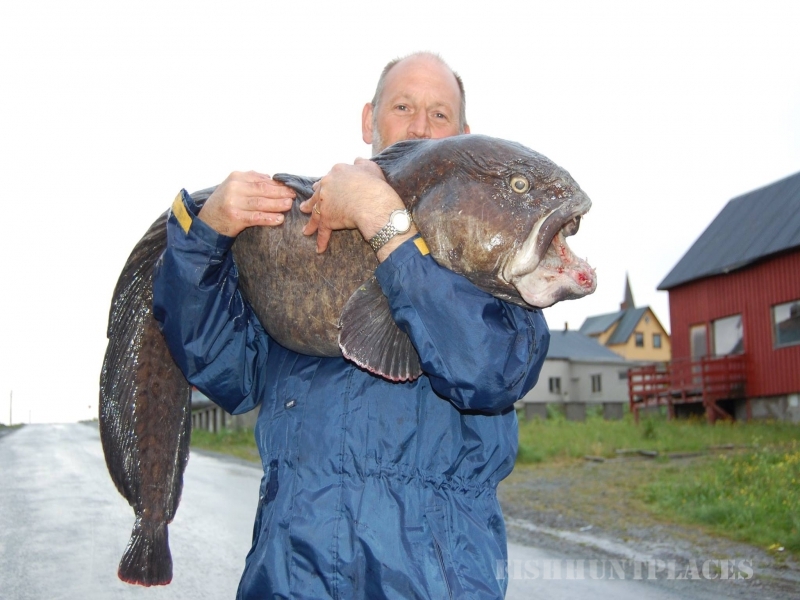 Here your dreams of the giant cod, the big coalfish, the monstrous catfish or a large halibut come true. Sørøya is unique in a deep sea fishing context, the peak season lasts all year! 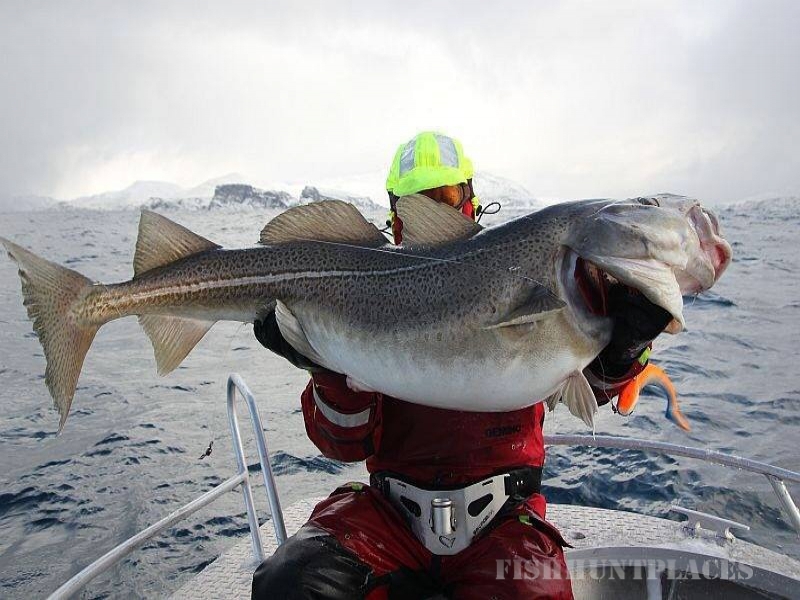 In March-April the arctic cod comes to the fjords to spawn, and the sea practically boils. The arctic climate offers winter storms so tough that you can see no longer that the tip of your nose, as well as calm seas and clear skies. Although there may be a few days in port due to bad weather, you have a great chance to catch the coveted trophy fish. This season is for the toughest. May, June and July offer the most stable fishing weather and lovely midnight sun. This means long, bright days and infinite time for fishing. The dream of the big cod draws most deep sea anglers here in the summer. In addition to chasing the big cod, summer can offer an intense combat with the big coalfish, meeting the catfish face to face, or for the toughest; the hunt for the large halibut. The halibut is a mysterious fish of which the scientists know very little. Some are wanderers, while others stay in a small area. The halibut population around Sørøya has grown during the past few years. For many of our guests, the giant halibut of up to 100 kilos is the big deep sea fishing dream. Small halibut up to 30-40 kilos is mainly found in shallower waters, and can be caught all season. The giant halibut, however, stays in deeper waters most of the year, but in late summer it moves to shallower water to feed. If you are among those who dream of wrestling the giant halibut, August and September are good months. A duel with this giant is the ultimate test of manhood. 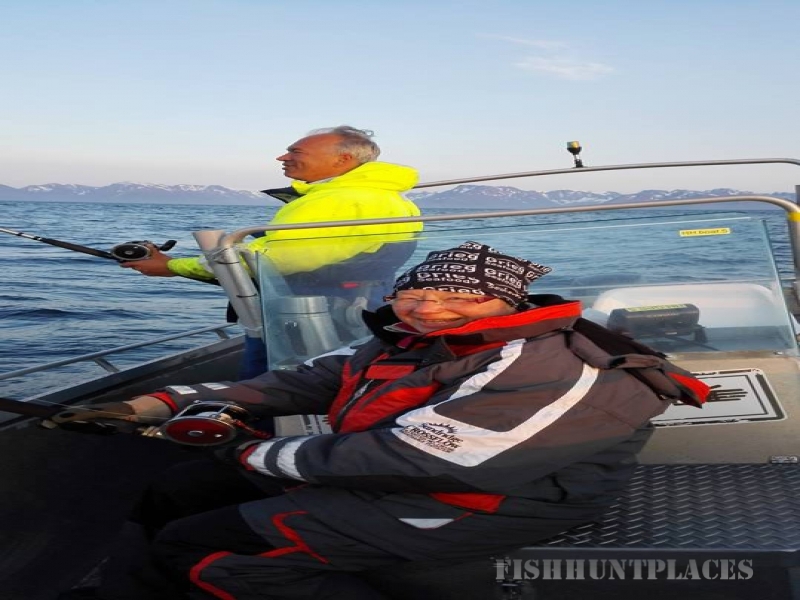 Regardless of when you may choose to come here, you will get unforgettable fishing experiences and world class Northern Norwegian hospitality. Our competent guides and gracious hosts will always provide help and advice on equipment, fishing grounds, etc. We are happy to share our knowledge and experience, and if you're lucky, you may even be let in on some secrets.